Kids, fancy a history lesson? In a land far far away from now there was a time when the only way to listen to music was to remove huge frisby-looking objects from their well kept sleeves and to put them under a mystical looking player with the steadiness of a surgeon and hope you didn’t scratch it. There were no iPod’s, no Spotify and no earphones to aid you from talking to anyone. In the 1980’s there were more than 2,200 record stores in the UK, but the advent of music downloads on the internet has seen shops close, shutters pulled down and owners re-train. Record Store Day comes but once a year but thanks to the guys at Dig Vinyl, it is a ritual that the people of Liverpool can rejoice in whenever they please. 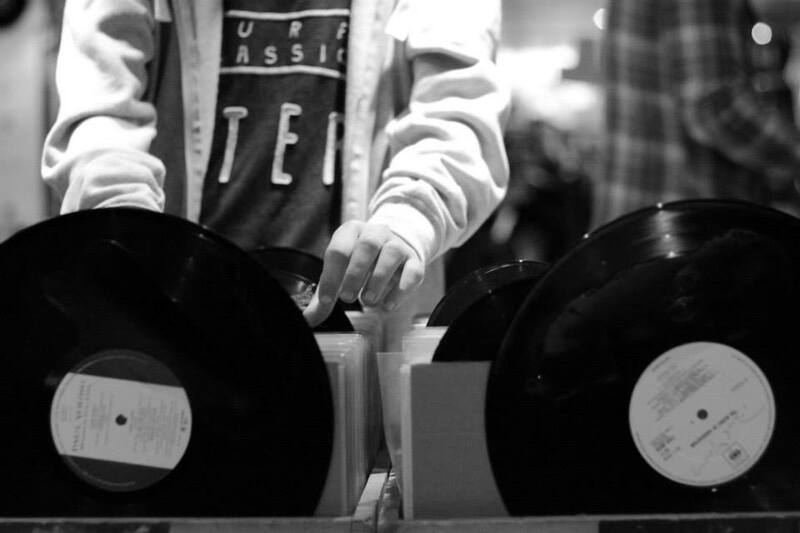 The surge in popularity for Record Store Day in April started in 2007 has not only got national reach but it has rekindled the love for tangible music. Dig Vinyl’s inspiration to open up this March was to rage against the machine, to offer a physical record shop in a city steeped in musical history. It doesn’t have a shop front, you can’t just stumble upon this place, you have to be in the know. It opened its “doors”, so to speak, to the public on where else but Bold Street? They’re located in the basement beneath Soho and truly define what it is to be a hidden gem as well as ironically stocking a shed load of them.They are more than just a retail shop, they are a source of knowledge in their hub for those who love music in which they offer like minded souls a step out of the frantic world to discover new music. They stock a self-professed carefully curated range of second hand vinyl along with a smattering of sealed repressings. They stock everything, just a few of the categories include; Indie, Soul, Funk, Punk, Psych, Beat, Prog, Folk, Jazz and Reggae and of course the odd Beatles album. It would seem all products have a cycle, they go from instantaneously cool to dated as technology grows but there are a dedicated few that resurrect the forgotten past time. Buying Vinyl is more than just buying music for some, it takes people back to their early teens where hair styles were dubious and flares were popular. 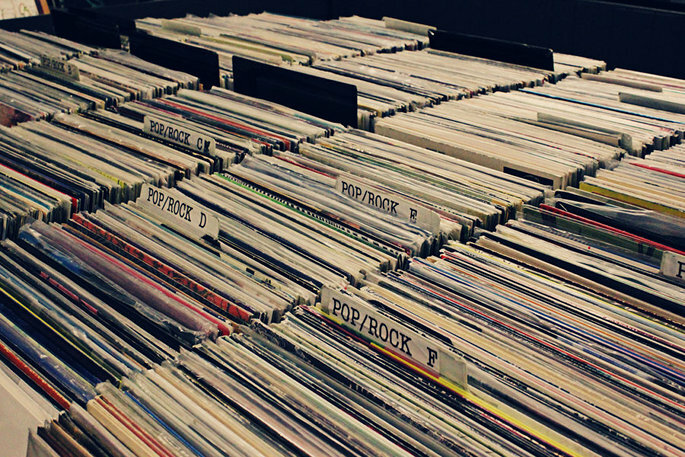 When you visit Dig Vinyl you don’t just leave with a bag of music, you leave with nostalgia. And let’s not forget the satisfaction of taking the vinyl out the sleeve, it is certainly up there with popping bubble wrap and opening jars of coffee. People argue you’ve never listened to an album until you’ve heard it on vinyl, the sound is so much fuller and echoes what the artist is truly trying to achieve. Far removed from pirating the music on virus-ridden websites and worrying pop-ups, you got to see, feel and even smell the vinyl. 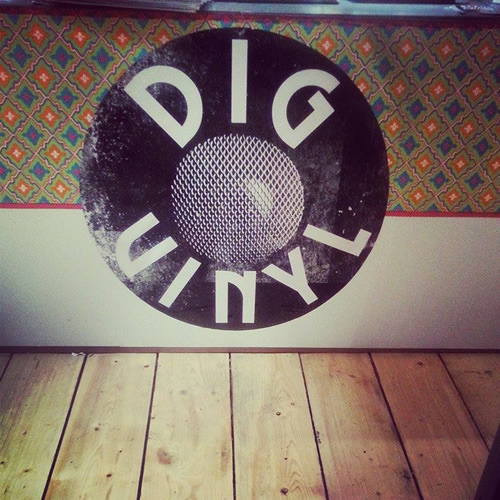 The guys and girls behind Dig Vinyl live and breathe music, from running labels in the North West to running a record shop in Quiggins in 1989 to standing in fields wide eyed trying to find the hidden meaning in lyrics. Can you dig it? 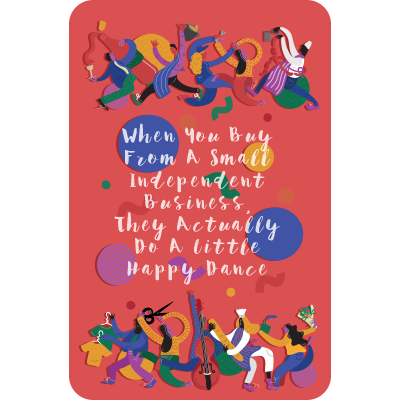 If so, head down with your card and get digging through their extensive collection and get 10% off purchases over £10 with the card. Like their Facebook page, follow them on Twitter and visit their website.